You may not have seen any help wanted ads with that headline. 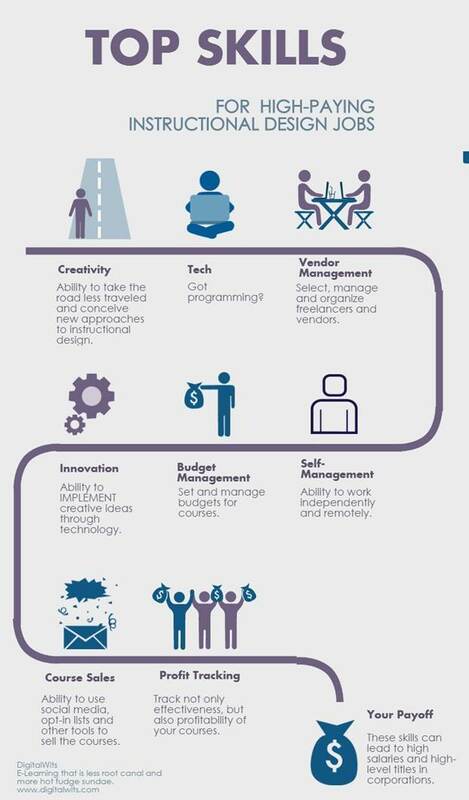 But companies are on the hunt for Instructional Designers (IDs) with an entrepreneurial bent and a creative flair. And who are willing to work for a salary in the $130,000+ range. Sound like a fantasy or a scam? It’s not. And not only are IDs getting the higher salaries, they’re increasingly getting director-level titles. “Creative, high-tech eLearning instructional designers are the new content marketers,” according to Jessica, a recruiter for the health-care industry who didn’t want to give her last name because she feared being overwhelmed with emails from job-seeking IDs. In an email interview, she told me employers are after the unique skill-set of instructional designers. 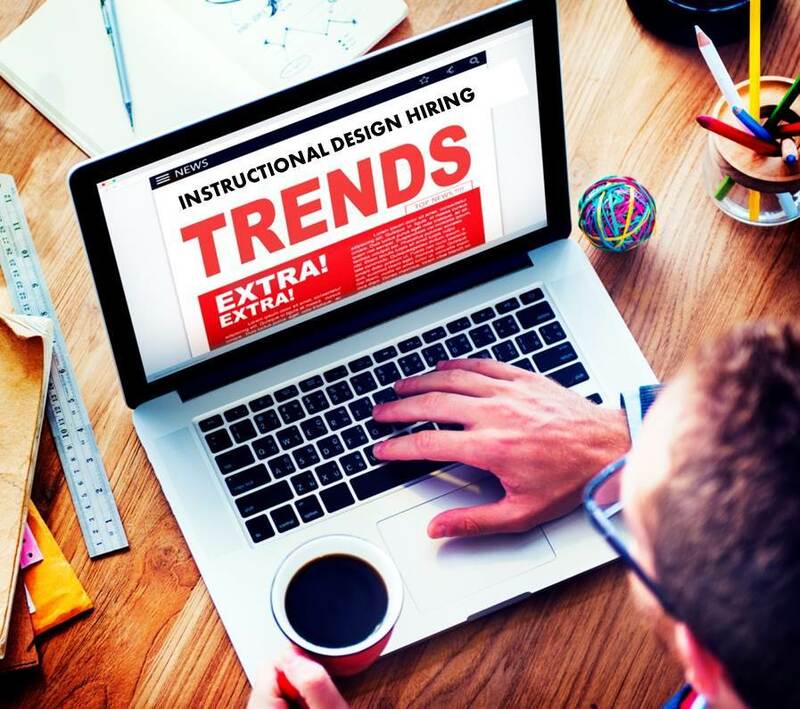 Instructional Designers are increasingly sought after for Director-level positions of single-person content creation departments. Those unsolicited calls to me and my ID colleagues made me think I smelled a new hiring trend in the eLearning industry, and that prompted me to do some investigating. After a few cursory web searches, I discovered that many companies now seek out high-level IDs for high-level positions. From learning nerds to department heads: Instructional Designers are sought after by training and marketing executives alike. Once considered the red-haired stepchildren of corporations, instructional designers are finally going from no-respect Rodney Dangerfields to super cool content heroes. Organizations now value these high-performing individual contributors by giving them titles like “Director of New Information Products” (this title is found mostly in the healthcare and biotech sectors), “Director of Educational Products” (found mostly in K-12 and higher ed organizations), or “Director (or VP) of New Information Products” (found most often in health care and financial services). 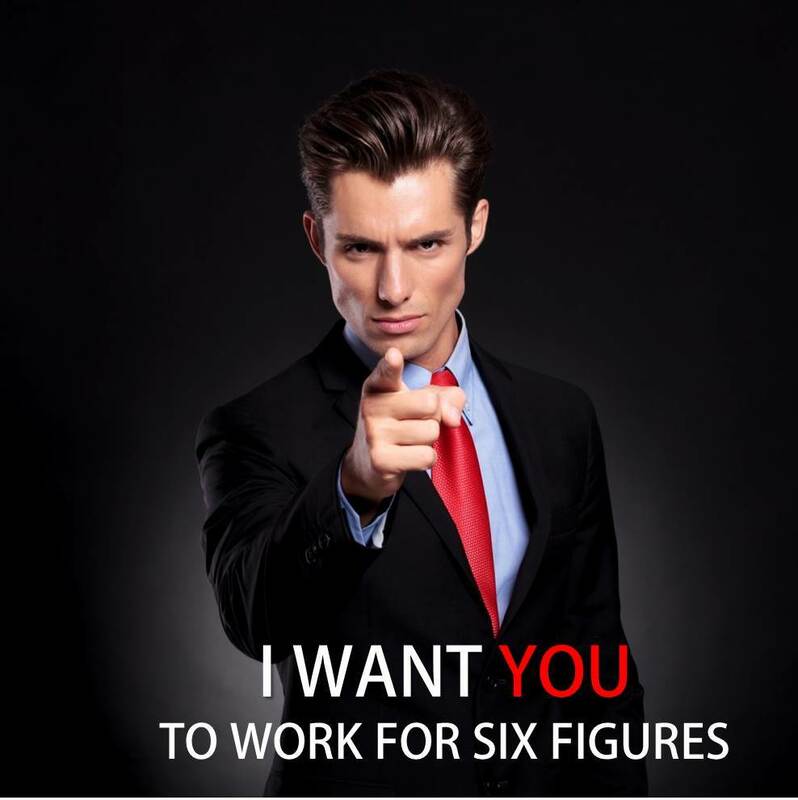 Other six-figure titles that required an ID background include: “Director of Learning Innovation,” “Director of Instructional Design,”(found in the banking and software industries) “Director of eLearning,” “Internal ID Consultant,” “Director of Adult Education Products,” “Creative Director,” “Director (or VP) of Digital Education Publishing,” and “Director of New Product Marketing” (found mostly in the medical devices field). For the most part, these are positions that do NOT have direct reports; they are one-person departments—which is exactly the type of position most IDs crave. Most highly experienced instructional designers I’ve spoken with over the years say they don’t want to manage people, but they feel trapped by a system where the only advancement opportunity for high-level individual contributors is through people management. It seems as if the more progressive companies have finally realized that and are giving IDs what they want, while at the same time meeting corporate growth and revenue goals. It’s interesting that some titles (such as “Creative Director” and “Director of New Product Marketing”) were once the sole domain of graphic design, advertising and media professionals. But as more organizations discover the effectiveness of online courses in building brand loyalty and revenues, they seek people who have experience in interactive online course design and development. 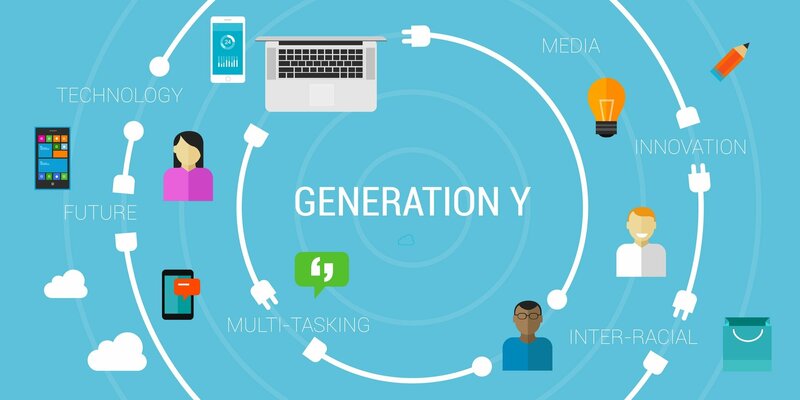 Millennials want eLearning that is innovative, uses multi-media, and has strong storylines and entertainment value. Companies aren’t just hiring instructional designers with gamification experience for content and consumer marketing. They’re also hiring them to create the highly interactive, highly entertaining employee training programs that Millennials demand. My friend, Clive, who is interviewing for a Director of Digital Innovation position in the oil and gas industry said his potential employer needed to up his game because younger new hires just couldn’t relate to the traditional eLearning programs with a few branching activities and some drag-and-drop interactions. They want interactive gamified movies with real story lines that directly relate to their jobs. “My potential boss said they were losing good employees because of bad training,” Clive told me during one of our “Pizza and Skype” chat sessions that we have once per month on Sunday evenings. Although a college degree is required for high-level ID jobs, you don't need an instructional design-specific degree. 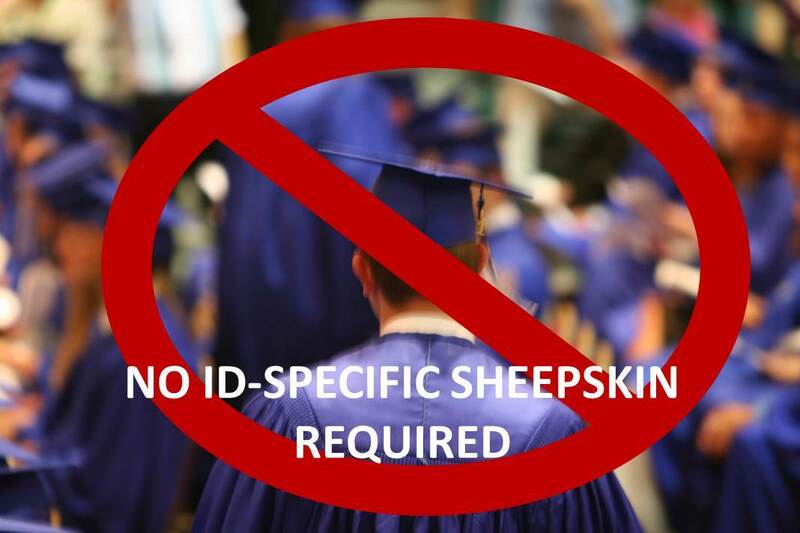 Experience and portfolios count more than the specialized sheepskin, except in academia. Surprisingly, only the director-level positions in education (K-12 and higher ed) required an ID degree and/or an advanced degree; all other positions required an average of eight years as an ID consultant or agency owner, or someone who has managed multiple clients and projects while being responsible for revenue goals. In other words, companies are looking for people with entrepreneurial skills who are accustomed to working with no supervision, who can quickly and accurately identify customer needs, and who have marketing experience. Nearly one-third of the director-level ID positions required some experience to marketing courses and adult market; about one-fourth required hands-on gamification design and development experience. And, of course, the ability to work with subject matter experts (SMEs) was listed as a requirement in most position announcements. Clearly, the portfolio and the experience were more important than a degree– except in the educational field. For that market, you’ll need a Masters in Instructional Design or a related field. But other industries– corporations– wanted demonstrated results and proof of experience over the sheepskin. One caveat: nearly all of the director and VP level positions required both design and development skills; not one or the other. Top skills employers want when hiring instructional designers for director-level jobs. Top skills mentioned in the job descriptions for these ID Director-level positions were innovation and creativity. Managing vendors and freelancers was another skill highlighted for high-level ID positions. Because these directors are one-person departments for the most part, they usually need to outsource some of the work. This is another reason why companies looking for candidates for these who have entrepreneurial experience; freelancers and agency owners have extensive networks already developed of people with 3D animation, programming, video and voice-over skills. That means the company doesn’t have to spend time hunting for those resources. Other skills mentioned were the ability to work independently, budget managment, course marketing and course profit tracking- again, mostly skills gained as an entrepreneur of freelancer. 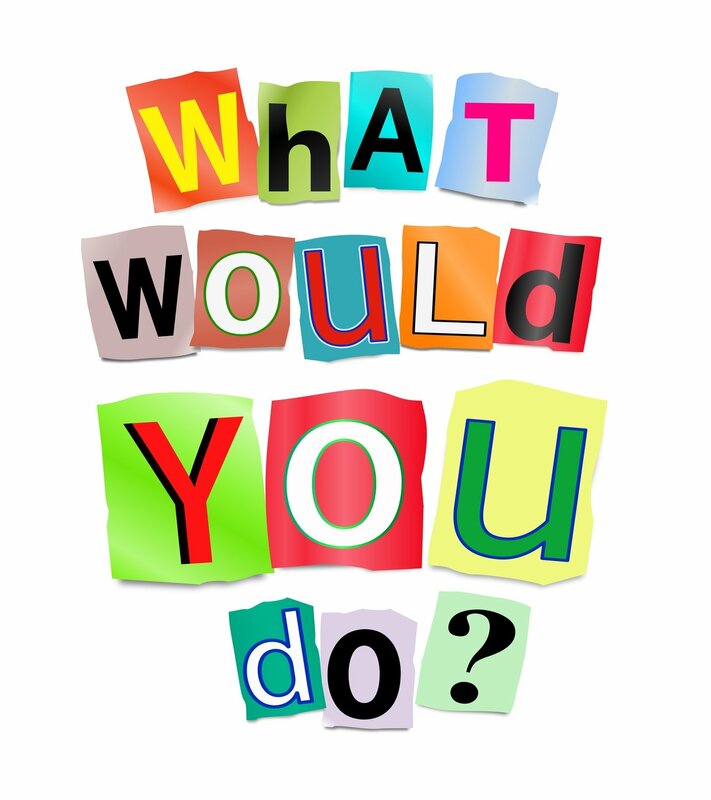 Question to Freelancers: Would you Do it? Would you give up your freelance ID gig for a full-time six-figure job? Take the quiz. All of this fancy-title-high-income talk is great. But it got me wondering about something else: Would freelancers (or boutique agency owners) go full-time if they could have a six-figure income, do the highly creative work they love (instead of mind-numbing, low-budget productions), not have to manage employees, and could work from home? Does the idea of paid vacations, paid holidays, partially paid insurance, matching 401K contributions and a regular paycheck pique your interest? Or, is the deep satisfaction that comes from owning your own business too great? Is the call of freedom (freedom to work when you want) and the ability to work with many different types of clients—rather than just one—too powerful to give it all up? For all of you freelance (or boutique eLearning agency owners) out there, we want to know what you think. If you have 60-seconds, please click here to complete an anonymous survey. We’ll post the results on my blog when survey results are tabulated. Or, if you want to be notified directly, just drop an email to: vicki@digitalwits.com with “Send Survey Results” in the subject line. Like this content? Want to get free resources, regular tips and tricks on brain based learning, or be the first to learn of new eLearning trends? Then visit our blog to read more or join our community of 10,000 instructional designers and corporate edu-preneurs.